The Lunar Eclipse on January 31 2018 is a rare astronomical trifecta: Super Moon, Blue Moon, Blood Moon. The last time this occurred was on December 30, 1982 – 36 years ago! This rare lunar event will be visible from the Middle East, Asia, eastern Russia, Australia and New Zealand. Maximum Eclipse will occur this Wednesday night, January 31, 2018 at 21:29:51 UTC+8. So, what exactly are all these different types of moons? A “super moon” occurs when the “full moon” coincides with the point in the lunar orbit which is closest to the earth. This gives the illusion that the moon is slightly larger in size, appearing up to 14% bigger than usual. Contrary to the term “once in a blue moon,” a blue moon is not *that* rare, when compared to certain other interesting astronomical happenings. The phrase “blue moon” actually has nothing to do with the colour of the moon. Instead, it is the term given to a second full moon that appears within a single calendar month. Blue moons occur on an average of once per year. On rare occasion, the moon has appeared as visibly blue in colour due to harsh changes in the atmosphere. People have reported seeing blue moons during the 1950-51 forest fires in Sweden and Canada, and after the volcanic eruption of Krakatoa in 1883. The blood moon is another name given to a total Lunar Eclipse. For those who are unfamiliar, a lunar eclipse occurs when the shadow of the Earth passes in front of the moon, eclipsing its light. 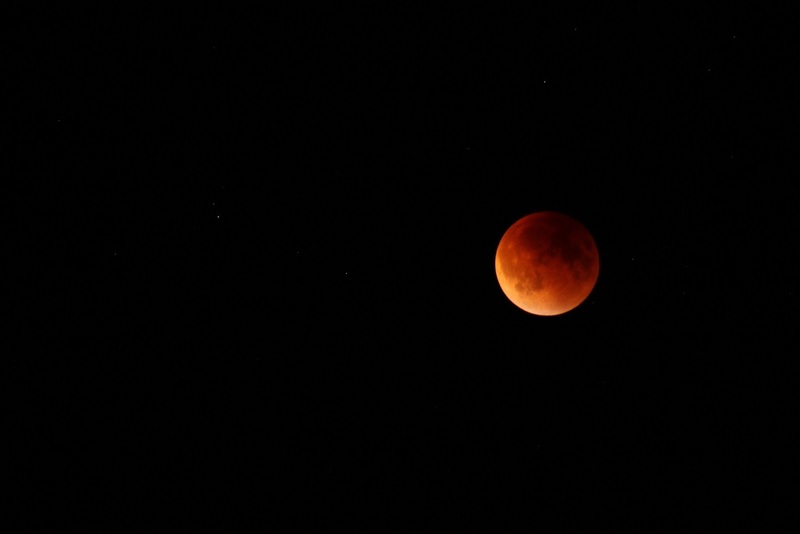 During the total eclipse, the moon appears deep red in colour, giving it its name: Blood Moon. In a few days’ time, we will get to experience a culmination of these 3 lunar events all in one evening. For many of us, it will be the first time it has occurred in our life time. Unlike solar eclipses, the Lunar Eclipse is perfectly safe to watch with the naked eye. Not sure if the total eclipse is visible from your part of the world? Check this handy calendar to see if your city is covered. If not, not to fear. We will be going live on our Facebook Page that evening, so you can feel free to watch it from the comfort of your sofa! Hope it will be a clear sky!